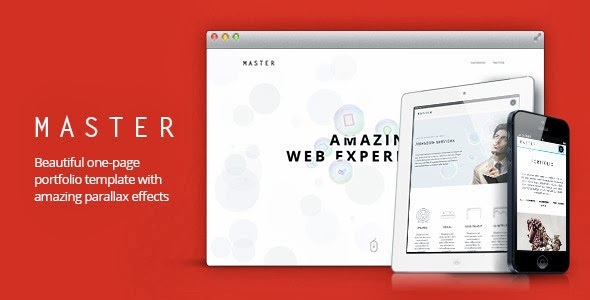 Master is a single page template build with HTML5/CSS3. This parallaxed template is recommended for creatives, freelancers and agencies. Parallax effect used on the home screen works fine on mobile devices but Parallax scrolling effect used in services and pricing headers is equiped with a mobile browser fallback, it will disable on mobile devices because of performance issues. Item Reviewed: Master - Creative Portfolio Template 9 out of 10 based on 10 ratings. 9 user reviews.